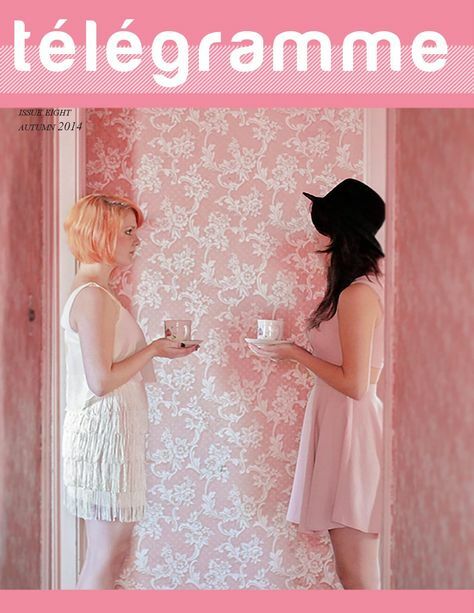 Issue 5 is out now, kidlets. Featuring fantastic photos and illustrations from Agustina Lapenda, Leni Kauffman, Cassoday Harder, Emily Coghlan and Sarah Anne Wharton Kuhn. I’m so proud of this issue (of all the issues we’ve put out, really) – it’s full of more talent than you can shake a stick at and it makes me so happy to flip through it. Télégramme will always be a free venture, I make zero money and couldn’t care less, it’s all about showcasing these fantastic artists. So, what I’m asking is that if you like this issue that you please considering sharing it. Tweet it, post it on Facebook, write a blog post about it – whatever you feel like doing is a-okay by us. Many thanks in advance from this grateful redhead. Read the latest issue of Télégramme now. Subscribe to our mailing list to be notified of new print issues.